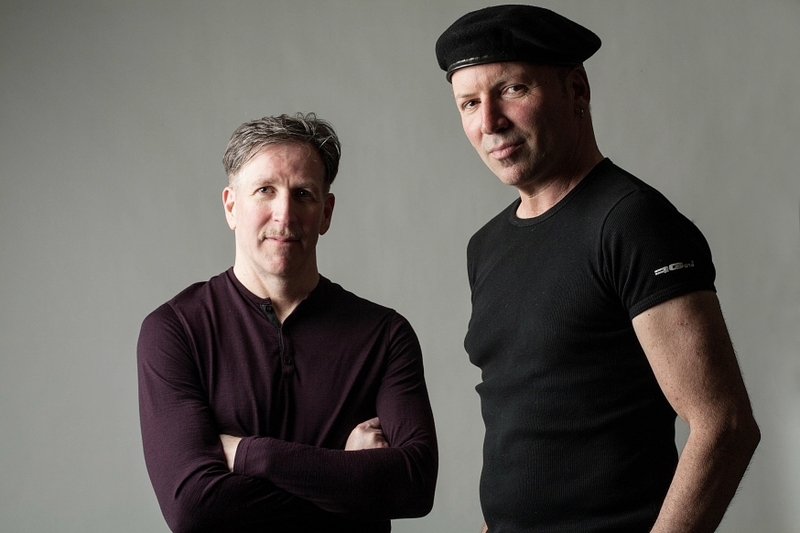 Oakland, CA — Glass House is the acclaimed music duo featuring David Worm, best known for his work with Bobby McFerrin and guitarist/multi-instrumentalist Mark Vickness. Glass House has collaborated with violinist Mads Tolling and upright bassist Dan Feiszli to release the “Blackbird” music video. Blackbird was originally written in response to the struggle for civil rights in the U.S. When Nelson Mandela died, “it seemed so right to pay tribute to him and honor the tremendous impact he made,” says Mark. The arrangement of “Blackbird” grew out of Mark’s unique approach to stringing and tuning his 8-string acoustic guitar. David then added a vocal line and lush vocal harmonies using his VoiceLive 2 Touch. Once the guitar and vocals were established, they collaborated with Mads and Dan to come up with violin and bass parts that filled out and anchored the texture of the song. Filmed on location by director Paul Nordin of EMB Studios, in Emeryville, California the video was edited by Sharon Knight. The music was mastered by Reuben Cohen at Lurssen Mastering in Los Angeles. Glass House released its third album “Long Way Down” in October 2013. Songs range from the sparsely haunting solo acoustic guitar and voice rendition of Robbie Robertson’s “Broken Arrow,” to the funk string quartet intro of “Turn Away,” to the driving, world music-infused choral tapestry of “Build A Bridge.” Lyrics run the gamut from tender personal pathos (“For Now,” “Thank You”) to timely political and social narratives (“Turn Away,” “Where I Belong”). Album producer/bassist Jon Evans is well known for his years recording and touring with Tori Amos and Third Eye Blind. Two-time Grammy winners The Turtle Island String Quartet contribute remarkable talents on two songs. Also appearing are drummers Scott Amendola (Charlie Hunter), L.A. studio ace MB Gordy (Frank Zappa, Green Day, Bill Withers), tabla virtuoso Ty Burhoe, violinist Mads Tolling (Stanley Clarke) and vocalists Ashling Cole (Prince) and Julianna Graffagna (Kitka). Hundreds of thousands of fans have viewed the widely-acclaimed videos by Glass House. When the live-version video of “Broken Arrow” was first released, it was the seventh most-viewed YouTube video according to billboard.com. 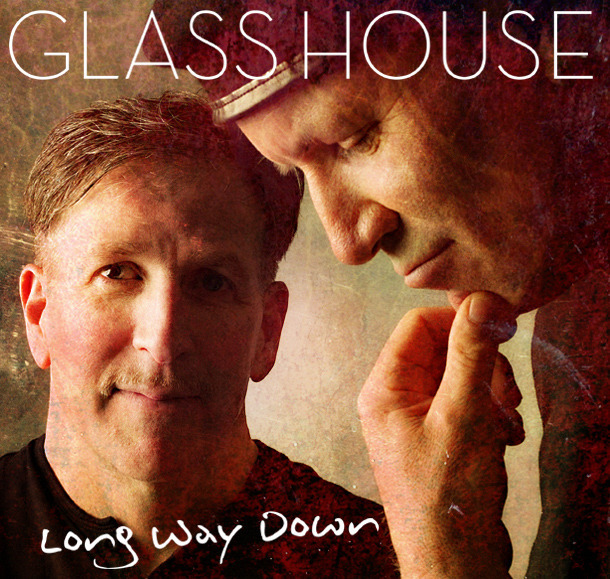 Oakland, CA – Much to the anticipation of music aficionados worldwide, the long-awaited third album from acclaimed Oakland music duo Glass House, ‘Long Way Down’, will be released on October 15, 2013. Featuring David Worm, best known for his long association with vocal pioneer Bobby McFerrin and guitarist / multi-instrumentalist Mark Vickness. With over twenty-three years of working together, David Worm and Mark Vickness have shared much more than a passion for great songwriting. From personal tragedy to the joy of raising children, through all the changes of the last two decades, these musicians have made writing songs together a constant thread, a platform on which to build not just a body of work but a lifelong friendship and a musical chemistry that infuses every song. Over the years, David and Mark have worked with many phenomenal musicians. That trend continues on their new album. Producer/bassist Jon Evans is well-known for his years recording and touring with Tori Amos and Third Eye Blind. Two time Grammy winners, The Turtle Island String Quartet contribute their remarkable talents on two songs. Also appearing are drummers Scott Amendola (Charlie Hunter), L.A. studio ace, MB Gordy (Frank Zappa, Green Day, Bill Withers), tabla virtuoso Ty Burhoe, violinist Mads Tolling (Stanley Clarke) and vocalists Ashling Cole (Prince) and Julianna Graffagna (Kitka). Taught from an early age (he began his studies in classical piano at age six) to broaden his musical horizons as much as possible, Mark Vickness is a multi-instrumentalist, songwriter and composer with a huge musical range developed over years of study, recording and performance. With a master’s degree in composition, Mark has written scores from simple pieces for piano and voice to large jazz ensembles to a concerto for North Indian Tabla, from large-scale ballets to documentary film scores. He has years of experience in world music having performed in West African Drum ensembles, an Indonesian Gamelan orchestra, and as a sitarist and tabla player. A classically trained guitarist, his principle influences are Michael Hedges, Pat Metheny, John Mclaughlin, Joe Pass and Ralph Towner. Mark has led rock bands, jazz bands, experimental improvisational groups and everything in between. He plays a custom-made eight string guitar/bass, a Michael Greenfield G4 fan fret six-string and a Duane Noble eleven-string harp guitar. He is endorsed by Greenfield Guitars. Mark began writing songs at age twelve inspired initially by iconic songwriters including James Taylor, Joni Mitchell, Elton John and Pete Townsend.